When their powerful mother falls ill, the Turners are called home to decide the fate of their East Detroit house, and to reckon with how their past haunts—and shapes—their future. There is a trace of Gabriel García Márquez in this novel — and not just in the way the fantastic is matter-of-factly described in one of the subplots, which involves a persistent, malevolent ghost, called a haint. 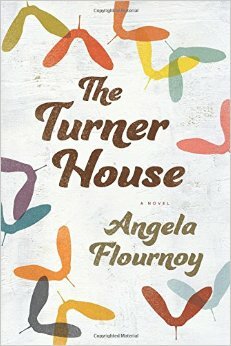 The Turner House also contains a Márquezian abundance of characters, and it puts forth the notion that each generation exerts an influence on the ones to follow, even when that influence isn’t consciously felt ... That Flournoy’s main characters are black is central to this book, and yet her treatment of that essential fact is never essentializing. Flournoy gets at the universal through the patient observation of one family’s particulars. In this assured and memorable novel, she provides the feeling of knowing a family from the inside out, as we would wish to know our own. What is most exciting about Angela Flournoy’s debut novel, The Turner House, is that while history is everywhere in it—haunting its characters, embedded in the walls of the titular house and in the crumbling streets of Detroit-the book tingles with immediacy. Flournoy has written an epic that feels deeply personal ... In the end, it is Flournoy's finely tuned empathy that infuses her characters with a radiant humanity. The Turner House is an elegant and assured debut that takes a refreshing approach to discussing mental health issues within a black family that’s resistant to direct conversation about them. In the end, it doesn’t matter if the haint that drew us into the narrative is 'real' to anyone but Cha-Cha. His belief in it is enough for readers to invest in his exorcism of it and of all the other hounds of history that haunt him. 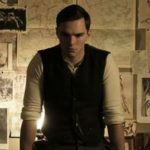 What did you think of The Turner House?